Ensure your business is compliant with the latest changes to payroll reporting. Current Reckon customer? Learn more about Single Touch Payroll here. Single Touch Payroll (STP) is an ATO compliance regulation that requires employers to send employee payroll information including salary, wages, PAYG withholding and superannuation to the ATO at the same time as their standard pay run. Single Touch Payroll is a significant change that will require many employers to upgrade or replace their payroll system this financial year in order to meet their payroll reporting obligations. Here is Tom. He is pretty chuffed with himself, aren’t you Tom? He is already getting his business set up for STP. STP or single touch payroll, is a new reporting method of sending employee payroll information to the ATO. Information such as salaries, wages, PAYG withholdings and superannuation will be reported directly to the ATO in the standard pay run, instead of at the end of financial year. Reporting each pay run saves time and resources for businesses at the EOFY and gives employees easy access to up to date payment information through their MyGov account. On the 1st of April 2018, Tom is going to do a headcount of his employees. If he has 20 or more, STP will be mandatory from 1st July 2018. If he has 19 or less he can still use it and get a head start before it becomes mandatory on the 1st of July 2019. Tom is counting down the hours until it starts, STP will save his business valuable time around the end of year without having to process all those employee, it’s already done making it much easier. His employees will also benefit from access to payment information on MyGov as well as pre filled tax return forms and online commencement forms that will make starting a new job easier. As a result of these changes, Tom needs to pick an STP ready payroll software to remain complaint. He chose to use Reckon software. For more information go to reckon.com/stp and get your business ready for the future of payroll. On 12 February 2019, the Australian Government officially passed legislation that expands Single Touch payroll to ALL employers. 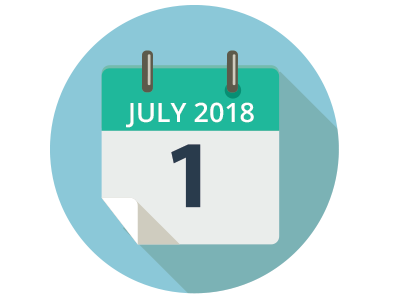 Phase 1: Single Touch Payroll became mandatory on 1 July 2018 for all employers with 20 or more employees. Phase 2: Single Touch Payroll will be mandatory for employers with 19 or less employees from 1 July 2019. However you have also had the option to voluntarily move to STP anytime since July 2018 to take advantage of streamlined payroll reporting. Update: The ATO have announced special rules for STP micro employers (1-4 employees). 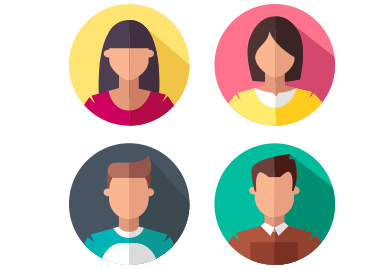 In October 2018, the ATO sought expressions of interest from software providers to develop Single Touch Payroll software for micro employers with 1-4 employees, recognising that many of these businesses don’t currently use a payroll software solution. At Reckon, we are excited to announce that we are providing a low cost and easy-to-use product for this market, enabling micro employers to easily transition to Single Touch Payroll and continuing our long term support of small business in Australia. Check back to this page for updates or register your interest below. Our comprehensive Single Touch Payroll guide contains key dates, FAQs and more information on how to prepare your business for STP. Traditionally employers lodged their payroll information via paper or manual submission once a year to the ATO by the 14 July deadline. Under STP, employers send payroll information to the ATO at the same time as they pay their employees typically weekly, fortnightly or monthly via their payroll software. This means pay runs and payroll compliance are combined into one process. To enable this direct submission to the ATO the payroll component of your accounting software needs to be updated. Let your employees know what’s changing with our STP Employee fact sheet. What are the benefits of moving to STP? PAYG payroll reporting (your STP report) is combined with your pay run process. You send this information to the ATO every payroll event instead of once a year in July, helping you gain valuable time around end of financial year. 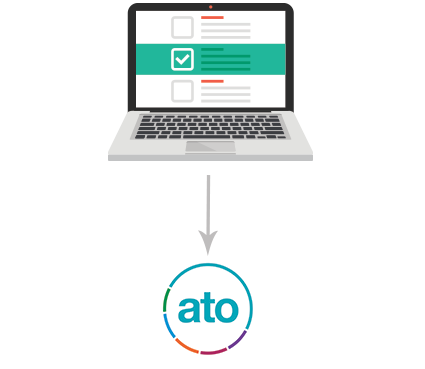 The ATO pre-fills PAYG withholding payroll fields W1 & W2 in your BAS, eliminating potential errors and double handling. You are no longer required to generate and distribute payment summaries to employees as this information is available online via a myGov account. On-board new employees quickly with online commencement forms including Tax File Number Declaration and SuperChoice. Real-time access to year-to-date payments and contributions via MyGov including superannuation, income and tax. Your payroll information is pre-filled in your tax return, making it easier and quicker to complete as you won’t need to wait for a payment summary from your employer. They report it during the year via their STP reports. Electronic commencement forms including a pre-filled Tax File Number Declaration and SuperChoice form makes starting a new job easier. Understanding how this new requirement applies to your business will help you transition smoothly to Single Touch Payroll Reporting before the start date. We’ve created a checklist with some important questions to consider to help you get prepared for STP. Our new application GovConnect STP makes meeting your STP requirements quick and easy. GovConnect STP acts a gateway to the ATO enabling you to view and lodge your STP reporting no matter what Reckon product you use. Existing customer? Enable your product for STP now! We’ve created a Single Touch payroll customer hub to help current Reckon customers stay STP compliant. Simply click on your product for specific help guides, how to create a GovConnect account and a list of frequently asked questions. 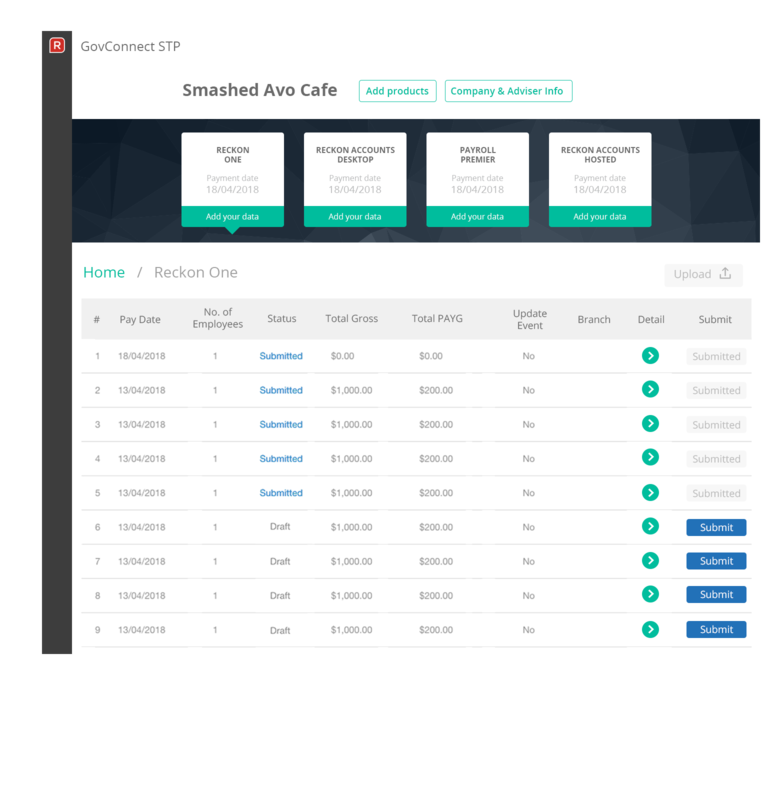 Try Reckon One with payroll for free!